I was interviewing for a position at a small landscaping company. There were only 7 employees, and the business was situated in a very small office complex that shared a space with several other companies. The position was advertised on Craigslist. I had sent in my resume a few weeks prior and received an email asking me if I would be able to go in for an interview. There was no phone interview, nor were there any requests for samples of my work. They wanted to schedule an interview right away. Want to be ready in 7 days or less? 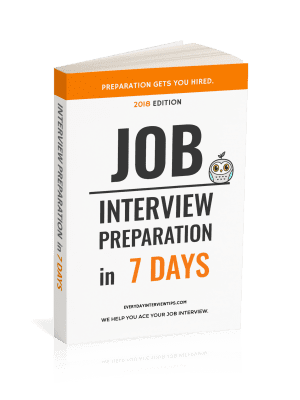 We have detailed guide to help prepare you for your job interview in one week. Although I had limited time to prep, I was familiar with the industry and already equipped with answers to the questions that I expected them to ask. I was interested in the job, and was looking for a pay range of between $25 and $35 per hour. I walked into the interview and was seated at a table with three middle aged men. One introduced himself to me as the owner, we’ll call him “Steve.” The other two neither introduced themselves nor said anything through the entire interview. That was the extent of the entire interview. One long answer. A few other questions, and interruptions. As I look back, his attitude towards the interview should probably have been a sign that he would be an unpleasant boss, but that is for a different article. Suddenly, with only a few questions asked and no time to promote myself, I was faced with an offer for an hourly rate that was well below what I wanted, and no time to prepare statistics to negotiate salary. I had to figure out how to negotiate for a higher salary right there, on the spot, having not answered many useful questions and with no data to back up my argument. I went into the interview willing to walk away. If they didn’t offer me what I wanted, I wasn’t going to stay. As much as I wanted the job, I wasn’t desperate. This helped me with negotiations. Even if you currently feel desperate for work, it’s still important to recognize the value of finding a job that pays you what you want. I let the way the interview played out dictate how I was going to address salary. Steve was fast and forceful. I would be too. Playing coy or shy was clearly not going to get me a higher pay from this organization. I did not focus on where he started the offer. He said $20. I was under no obligation to meet him somewhere close to that $20. I was going to ask for what I wanted, whether he was willing to give it to me or not. He looked at me and the two other nameless men at the table, shrugged, and said “I can do $30.” I told him “Yeah, that’s fine. I think I’ll be able to prove to you I’m worth over $35 within a few months anyway” and I held out my hand for him to shake it. He did. I am positive that it was the confidence that I displayed requesting the higher hourly rate that encouraged him to agree. As I learned more about him, I am sure that he only intended to give anyone $20, but he respected the way that I was confident that I would build his revenue. Which I did – he increased his web leads by 500% in a few months. However, I also believe that if I was desperate for work, and willing to accept any salary he offered or letting a lowball number sway me, he would not have caved. 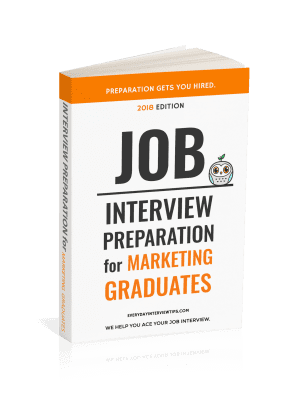 That’s why it is so important to treat job interviews like car dealerships, especially if you are given an opportunity to accept the job on the spot. If you don’t get the price you want, you owe them nothing. You are the value. If you are faced with a situation where someone offers you a job on the spot, that means that you’re someone they want. You should be reasonable in what you ask for, but know that even if you aren’t able to come prepared, you should still be willing to confidently share what you need from them if they are to hire you.